Victory of the Daleks. Series 5. Boy, did I hate that episode. This is neither the time nor the place to explain why – but I will because it is my time and my space you are peepin’ on. I thought it would be a good story when I sat to watch it back in 2010. 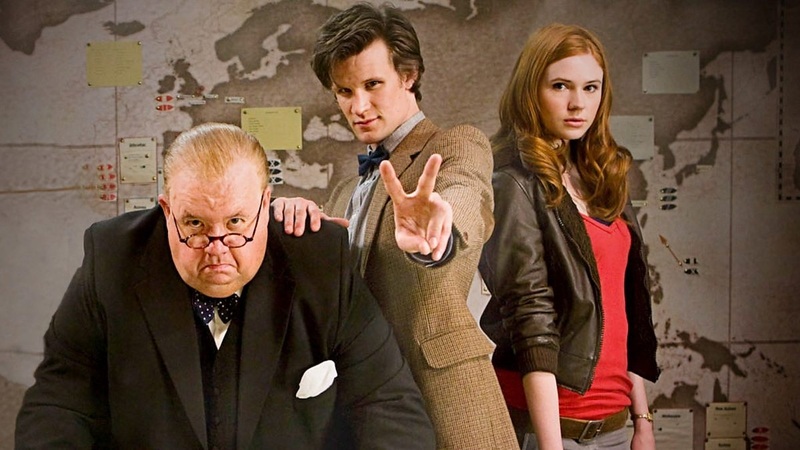 A mysteriously nice Dalek, the Winston Churchill, the Doctor, the Amy Pond… a dynamic cast of characters pulled together and trapped in a British base – a base under siege from the persecution of the pepper-pots! Exclamation mark indeed! Alas, we got a story that meanders, resulting in a waffle-Doctor on a slab spaceship chatting to dull (but brightly coloured) Daleks, while spitfires pew-pew in space and a silly robot-human on the ground decides he might explode but doesn’t. Yes, I disliked it, muchly. Bad taste in my mouth. So, if you didn’t come here to hear me spit vitriol at a story you might have enjoyed, why are you here? Oh! Volume Two of Big Finish’s Churchill Years! A mix of four tales that bring the bluster of Churchill alongside several Doctors fighting for king, country, and maybe the universe! Where’s the link? Oh yes, Victory of the Daleks! Did I tell you how much I disliked that story? Well, this is where I think Big Finish can be a strength to the television canon. Here we have a story I hated, with a series of audio tales continuing the adventures of the key character from that same story. The hope is, if I enjoyed the Big Finish volume, could this improve my relationship with Victory of the Daleks? Honestly, I think it has. Again, we have Ian McNeice playing old Winston. His blustering Churchill was certainly a boon to the 2010 serial, so his presence really benefits this set of adventures. The first story mulls over the beginning of his career, the second and third are during the war, and the final story speaks of the war’s end. In each adventure, he meets the Doctor: specifically, the Ninth, Tenth, and Eleventh incarnations. There is a good deal of diversity in these stories – not simply relating to chronology. Each tale draws on a different thematic underpinning. The first, Young Winston (by Paul Morris), guest-starring Madame Vastra (Neve McIntosh), has a distinctly Conan-Doyle aesthetic; the second, Human Conflict (by Ian McLaughlin), plays homage to Ian Fleming; the third, I Was Churchill’s Double (by Alan Barnes), plays the science-fiction card with reality jumping; and the fourth, Churchill Victorious (from Robert Khan and Tom Salinsky), enjoys a more intimate hostage affair. What makes this box-set so enjoyable is it does give Victory of the Daleks some depth. The phone-call at the end of The Beast Below where the Doctor speaks to his old friend Churchill no longer feels so contrived. That relationship now has pathos, and what we see in Victory of the Daleks is a friendship that now has tenure. For that alone, the set has merit. And I think this is a key point for Big Finish in general. I’ve seen a lot of moaning at how the range is exploring many of the background characters or guest stars, with the usual cries of “cash-cowing” or “milking”, but I think such tales can give the world of the Doctor Who a dimension commercial television simply has no time to indulge in. You don’t need to listen to the Churchill Years to enjoy (or suffer) Victory – in fact, many will counter my distaste with love, I’m sure – but it does enrich the experience if you so wish it. 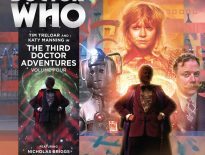 No one is forcing these audios down a fan’s mouth-pipe – you don’t need to listen to any Big Finish to enjoy the show, but it does make good companion pieces. My favourite story? I think Churchill Victorious has a lot of fun to it. 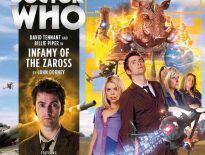 Brian Croucher makes a welcome comeback to Doctor Who in this tale, and it explores aspects of the Churchill myth that gets less attention. I also like how it starts off with quite a gentle amble, after three fairly action-packed stories. Churchill Victorious is a more intimate affair. I Was Churchill’s Double was perhaps my least favourite. I’ve never been over-keen on mirrors or multiple realities. Each to their own – it’s still nicely told, however, with a few head-scratch inducing moments deliberately enjoyed in the first act. Any issues with the tales? Only one. As much as McNeice really does bring panache to the tales, his Doctor impersonations are sometimes far from the mark. His Tennant is very much lacking. You could simply argue that’s just Churchill – he probably would be a damn poor impersonator of the then-unborn Christopher Eccleston, but it does distract somewhat from feeling the personification of the Doctor. Perhaps one other minor audio flaw for me is actually a compliment for them (I hope). For Young Winston, we have Churchill (Ian McNeice) recounting his past experiences. The younger Churchill is voiced by Iain Batchelor and they do carry an unerring similarity – they could be the same person at different periods of their life. However, this can sometimes make the shift from old Churchill narrator to the younger Churchill performer a little foggy on the ears. However, these are all very minor quibbles against a good set in which McNeice gives these tales a consistent air of quality. On top of all this, you’ve got a large bonus behind-the-scenes to strip away the magic and explore under the bonnet of the box-set. You don’t need to have listened to Volume 1 of this set to enjoy it. You don’t need to have seen (or is that spelled “suffered”?) Victory of the Daleks to enjoy it. You just need to know that Churchill has met a few Doctors in his time… and he has a war to win. Perhaps he needs your support. 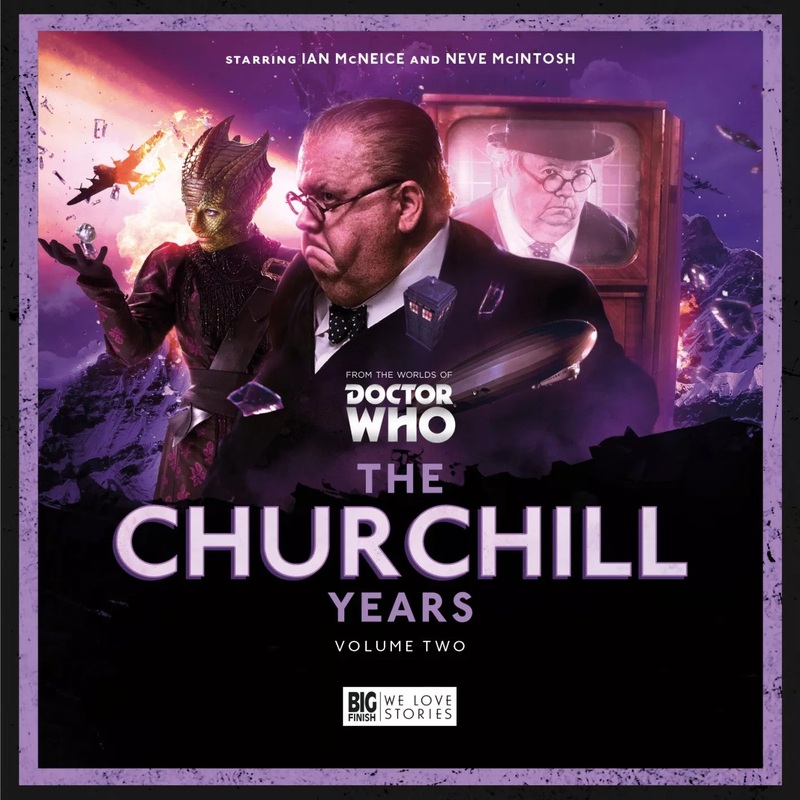 The Churchill Years: Volume 2 is out now from Big Finish, priced £35 on CD or £30 as a download.